What started with a display of bricks is now becoming a museum honoring those who have made a difference in the Tri-State’s sports community. 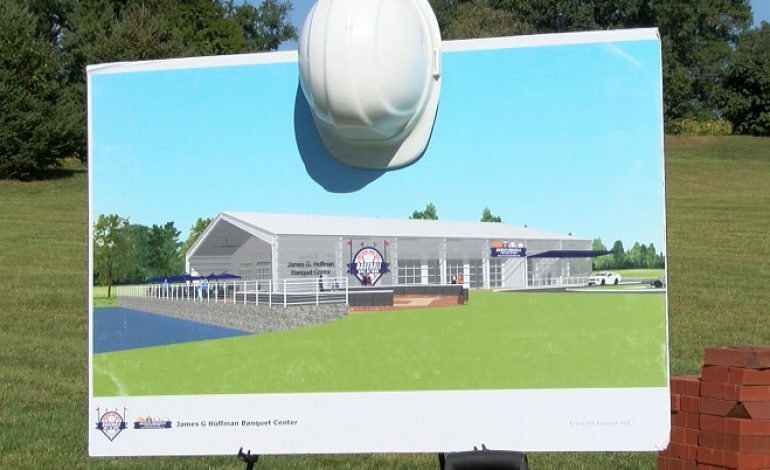 Officials broke ground on the Greater Evansville Hall of Fame to create a museum to honor sports legends across the Tri-State. Coaches, players, and administrators shown on these bricks will be featured in the museum. The Evansville Convention and Bureau Executive Director Joe Taylor says you don’t have to be from Evansville very long to realize how the community embraces sports. “They’ll never die,” says GESHOF President and CEO Tim Turpin.”And the guys you forgot about, you know, some people didn’t know, you know, who knew. And you know we had state champions in the 40’s. The legends featured will be from a 75-mile radius around Evansville. There will be a basketball, baseball and football hall. Areas for other sports will be included like soccer, wrestling, volleyball and many more. The museum will be 10,000 square feet near 1-69 and Morgan Avenue. It will also feature a banquet hall for teams to have events and meetings. Along with being a place to honor those who have impacted the community in a positive way the group hopes this will be a popular destination spot. “We feel like we’re going to be a nice destination not only for the people that live out of town but for the people that live here too,” says Turpin. “There’s a lot of downtime between sports competitions so this is a way to make that time well spent by learning about the history and the heritage and learning about players known and unknown,” says Taylor. “The more things we have to promote, the more stories we have to tell, the more visitors we are going to attract, the bigger destination we are going to be and so that’s why this is significant. The Evansville Visitors Bureau hopes this project will continue to help Evansville grow. The project will cost just under one million dollars and construction should begin in April. City officials expect the project to be finished in 2020.